Bus accidents almost always make headlines because of the number of injuries that such accidents can cause. Passengers expect to be safe when traveling in commercial vehicles or commuting on city buses. Parents trust that their children will not be harmed while riding on school buses. We all expect a high regard for safety from those individuals who are responsible for the fate of many lives every day. Unfortunately, accidents happen, and one involving a large vehicle carrying 50 or more passengers has the potential to cause many severe injuries and even fatalities. Following a bus accident, passengers, drivers, and pedestrians all may feel confused and unsure of what to do next. Below, the experienced bus accident lawyers at Aitken * Aitken * Cohn answer some of the most frequently asked questions regarding bus accidents. The answer to this question involves a combination of several factors. A fully loaded bus can weigh over 40,000 pounds. Under certain conditions, this size and weight alone can cause a serious accident. The laws of physics, combined with a human or mechanical error, make the cause of an accident complicated. Three of the most common causes of bus accidents are (1) bus driver error, (2) defective roadways, and (3) mechanical failure, all of which we discuss in more detail below. There is an expectation of safety when one drives on a public road. As citizens of California, we all have a right to expect that our roadways are properly maintained, designed, and constructed; however, that’s not always the case. Thousands of drivers are involved each year in serious accidents caused by roadway design and construction defects. According to the National Highway Traffic Safety Administration, vehicle-related issues, such as mechanical failure and defective parts, often play a key role in causing bus accidents. Defective tires, bad brakes, and faulty electrical systems are among the most common culprits. What should I do following a bus accident? Seek medical treatment as soon as possible, even if there is no apparent cause for concern. Back, neck, and brain injuries may take time to appear. Once the danger has passed, collect and document as much information as possible, such as photos of the accident scene and contact information for other passengers and witnesses. In the event that you file a personal injury lawsuit related to your accident, the above-listed documents may become vital evidence. Can I file a personal injury lawsuit after a bus accident? When passengers, pedestrians, or other drivers sustain injuries in bus accidents, they will likely want to file a personal injury claim that seeks compensation for their injuries. An experienced bus accident attorney can help victims recover damages caused by someone’s negligence or reckless actions. Most personal injury claims in California have a statute of limitations of two years, which means a plaintiff must file his or her claim within two years from the date of the accident. However, that timing changes if the case involves a governmental entity, such as the transit authority. The California Tort Claims Act details a victim’s responsibility when bringing suit against a government entity. In this case, an injured individual only has six months to file a claim for damages. Importantly, a claim for damages is different than a lawsuit. Once the claim is filed, victims have two years from the date of the accident to file a lawsuit. What compensation is available in a bus accident lawsuit? What are common injuries in a bus accident? Bus accident injuries are often more severe than those suffered in other motor vehicle accidents, due to buses’ general lack of safety features, such as airbags, seatbelts, rollover protection, and crumple zones. 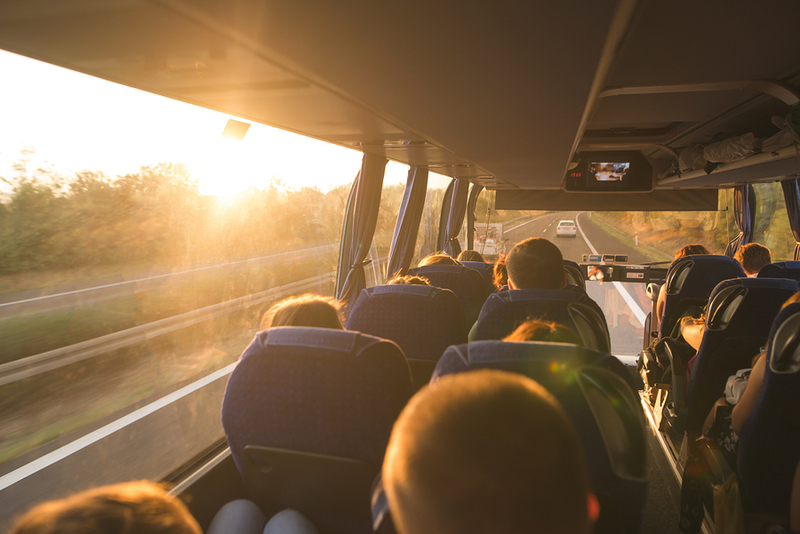 Passengers in a bus accident may be sitting sideways, facing backward, or even standing in the aisles; this increases the likelihood of being thrown about the bus upon impact. How do I get in touch with an experienced Santa Ana bus accident attorney? A bus accident can be catastrophic, complicated, and costly. Receiving fair and just compensation is possible, particularly with the assistance of a team of experienced personal injury lawyers. If you or a loved one has been involved in a bus accident, we know what steps to take to hold those at fault accountable. Call Aitken * Aitken * Cohn today at (714) 434-1424, or contact us online to schedule your free consultation with one of our experienced litigators.